One of the most charming and unspoilt parts of Pantelleria, almost in the most southern end of the island, not far from Scoglietti and attactive Balata dei Turchi, is the background to the dammuso Canariensis, in Scauri. 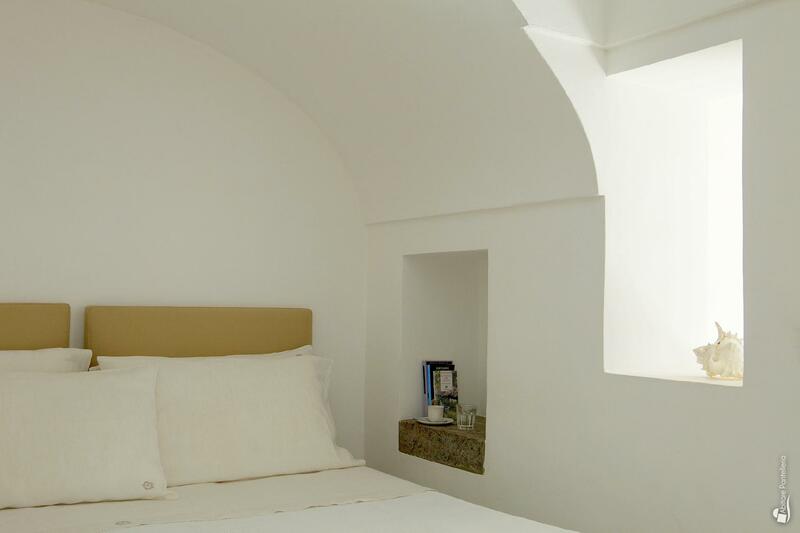 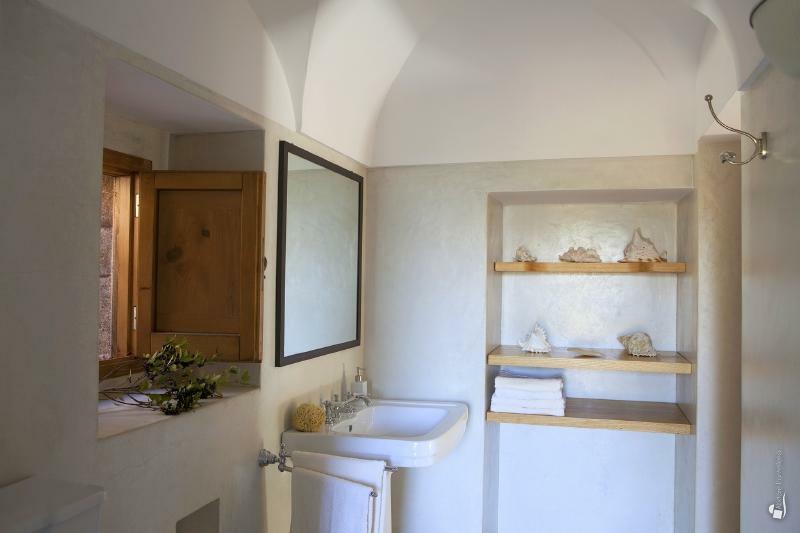 Within a lush garden of pines, palms and bougainvillea, the dammuso can accommodate up to 4 people in two double rooms. 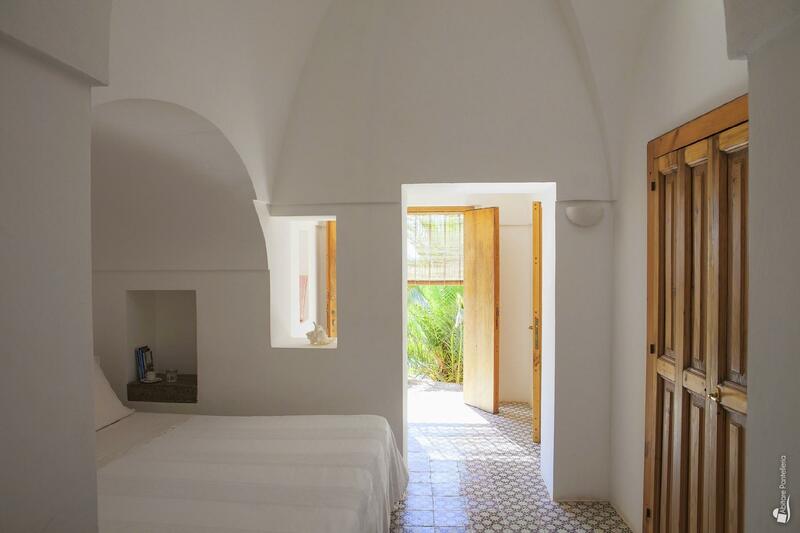 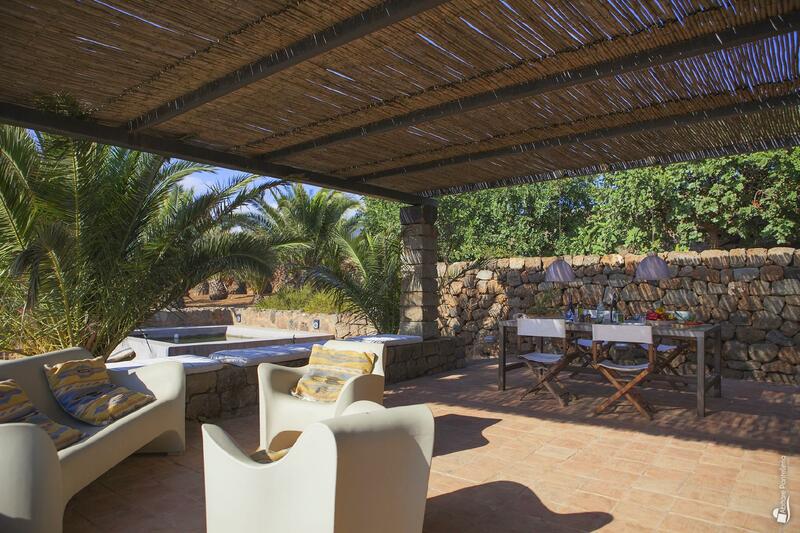 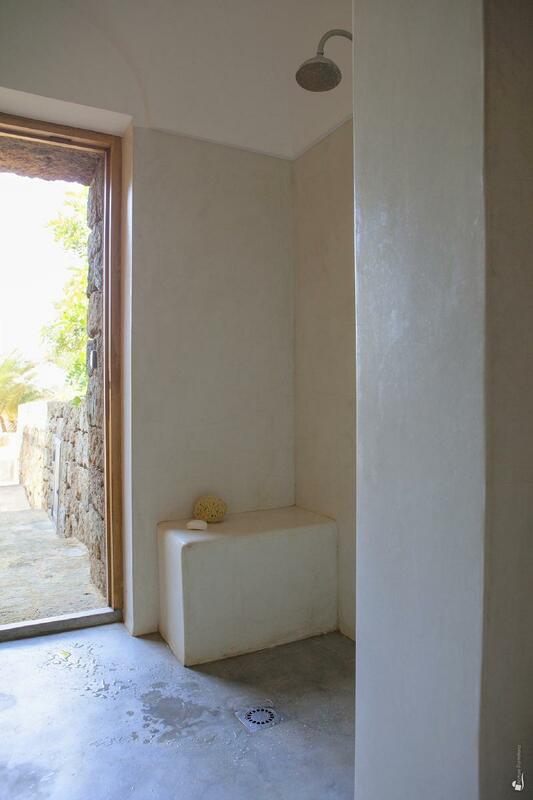 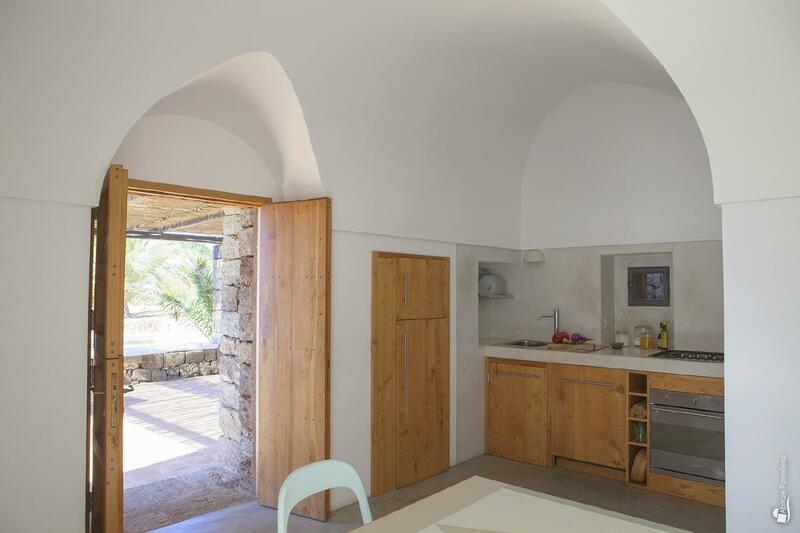 The Canariensis stands out for a revisited Mediterranean style in a contemporary way, with the predominance of light colors and the use of modern materials and solutions, such as smooth concrete for walls and coatings. 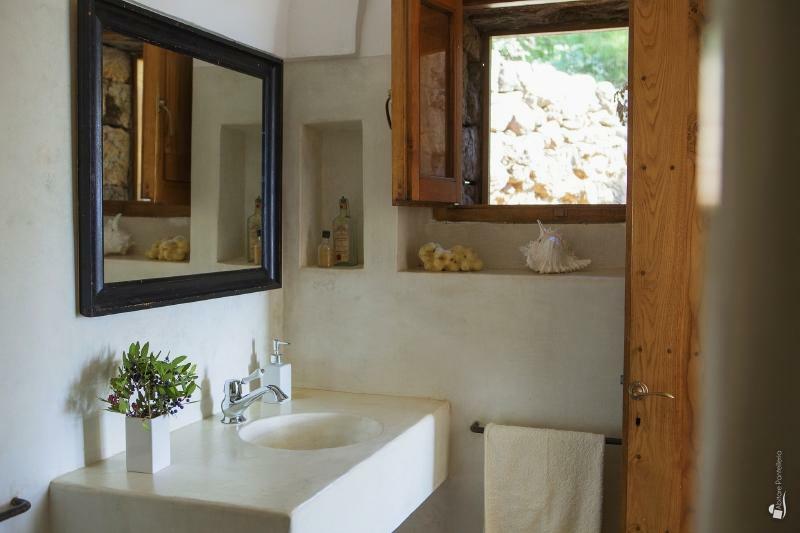 The property has also a fully equipped kitchen (refrigerator with freezer, dishwasher, oven, microwave, toaster), and a spacious living room with dining table, armchairs and satellite TV. Also the outer space is very well-kept, where the small private pool with Jacuzzi overlooking the sea stands out, next to a lovely relaxation area under the palms with sofas, lounge chairs, tables in addition to the patio with barbecue and dining table, perfect for alfresco dining. 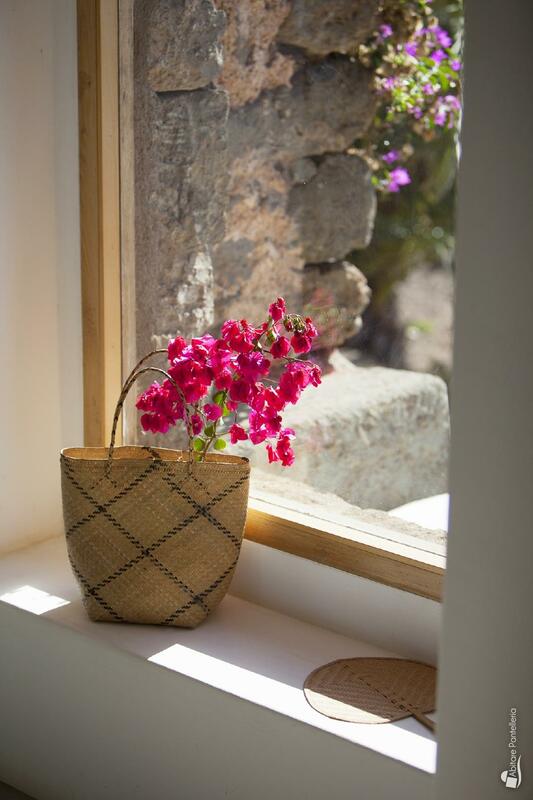 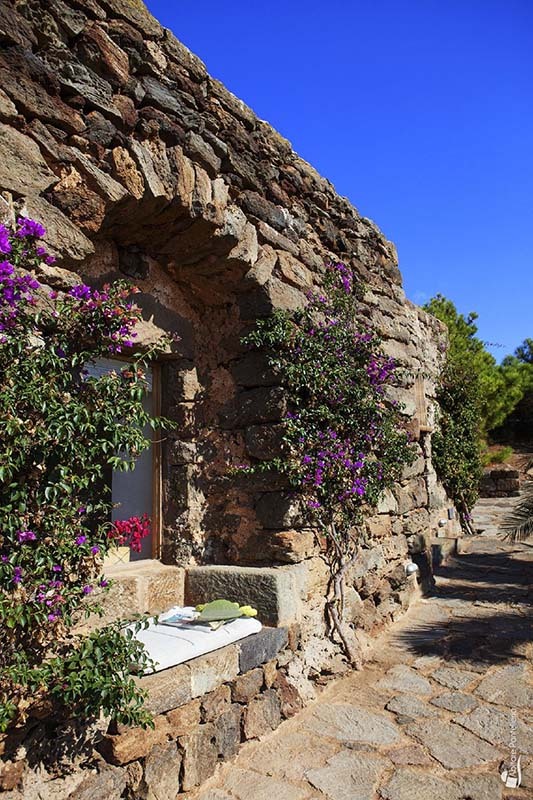 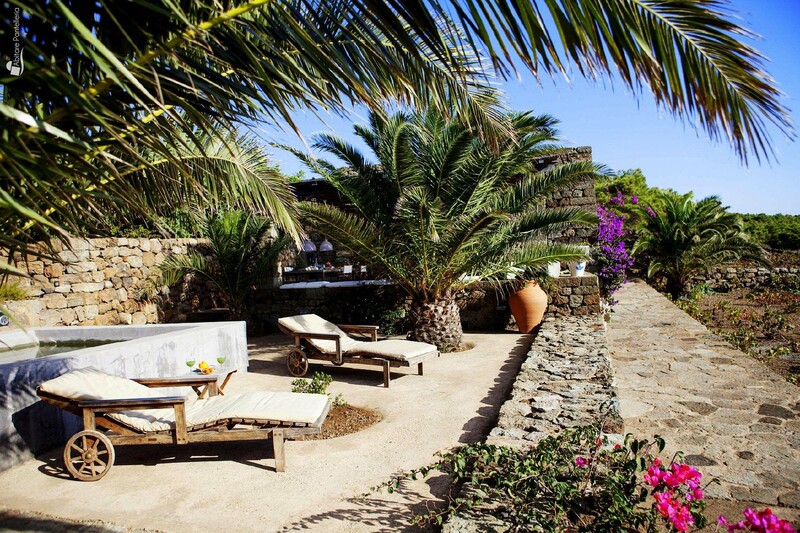 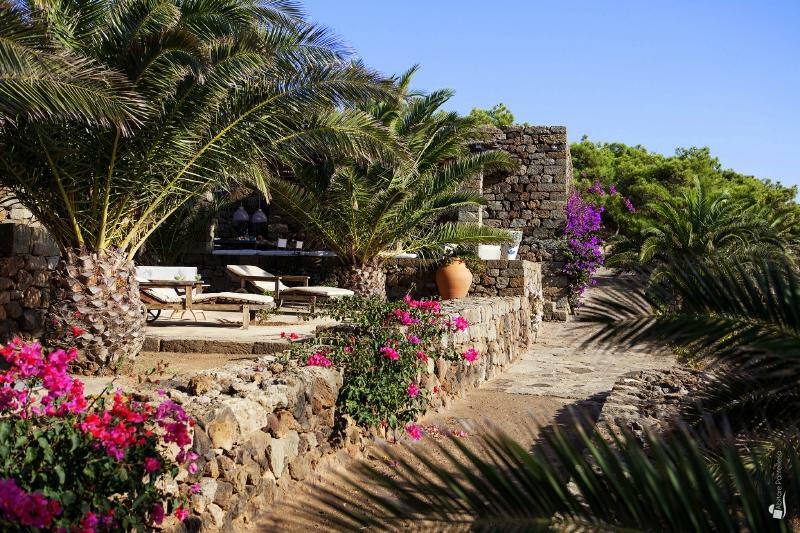 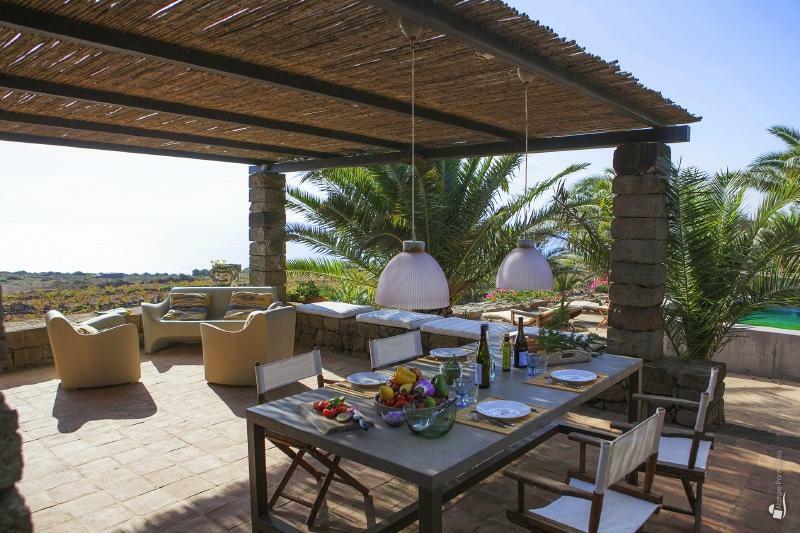 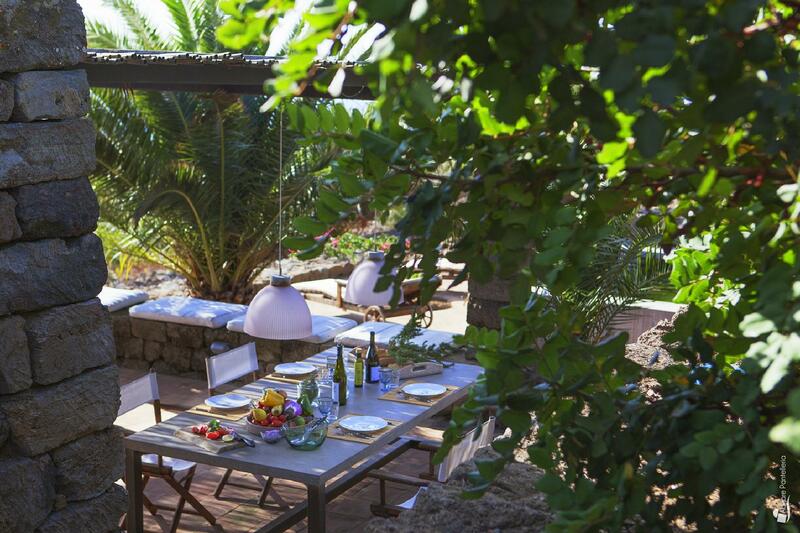 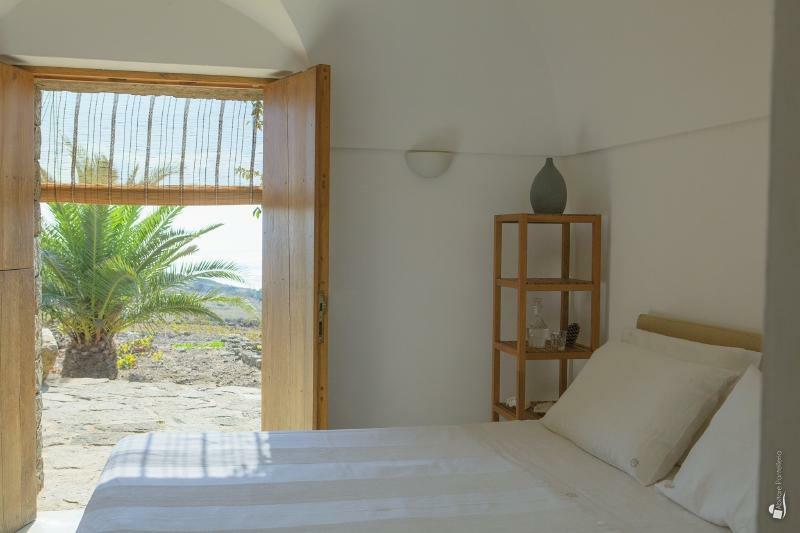 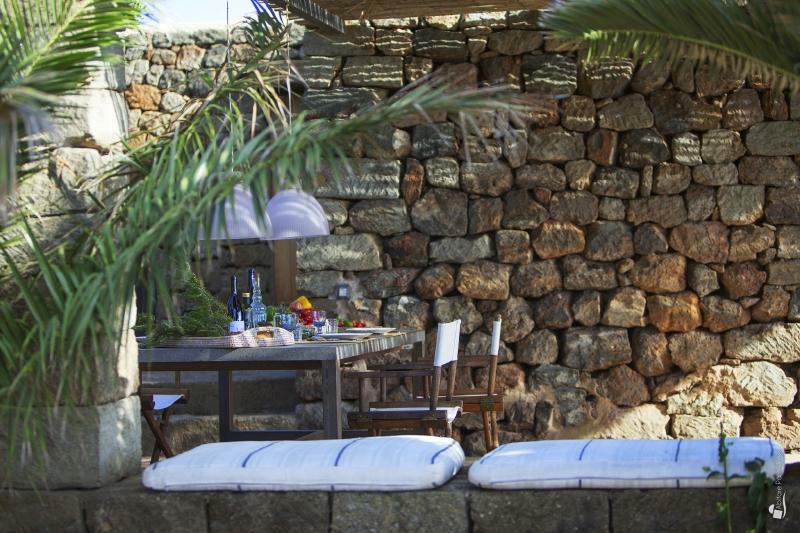 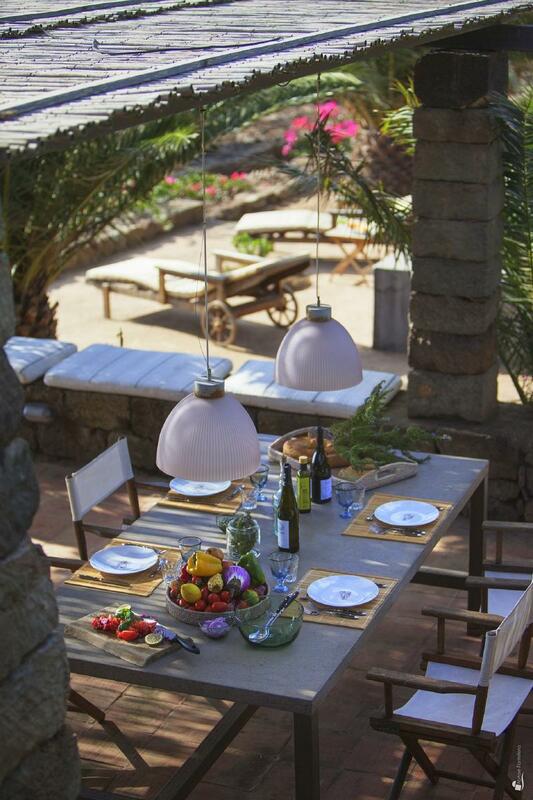 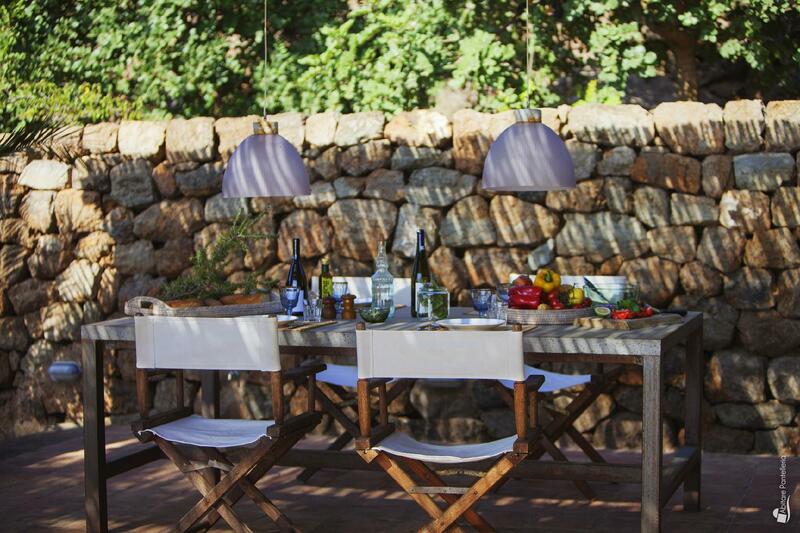 From the dammuso is easy to reach some of the most fascinating places in the southern part of Pantelleria, such as Martingana, Balata dei Turchi, and Punta Limarsi. 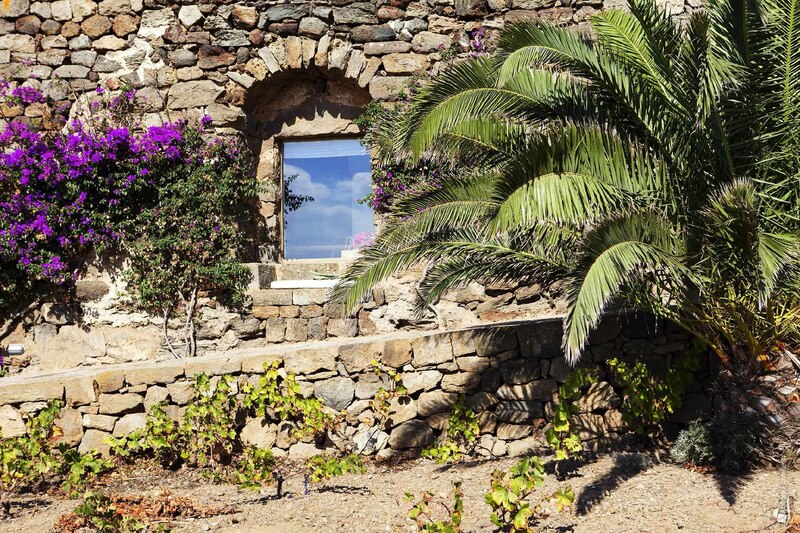 For those who love the nature trails, the nature reserve offers access nearby, with particular reference to the paths of Favare, Monte Gibele, and Kuddia Attalora.